If you are looking for a superior hose for your high pressure paint spray needs, you have come to the right place. JGB Enterprises, Inc. is home to the private branded EZ-Kote® Airless Paint Spray Hose. Why is JGB's EZ-Kote® so superior? The proof is in the product. Seamless nylon inner core compatible with most paints, coatings and solvents. Polyurethane cover provides superior abrasion resistance. A high pressure conductive hose suitable for conveying paints, fuels, oils, and most other solvents. EZ Kote®Hose is recommended for applications where an electrostatic charge must be eliminated. a large inventory for fast delivery - standard assemblies in stock. Competitive prices backed with fast, knowledgeable service. 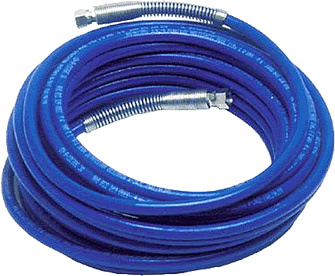 JGB also features other paint transfer hoses with lower working pressures to satisfy your paint spray needs. Like the EZ-Kote®, these hoses offer the best quality at affordable prices to ensure a long, useful product life and performance that speaks for itself. An economical air and water hose, Horizon® hose is for a wide range of industrial, construction and agricultural applications. A continuous permanent brand which makes for easy identification. Available in longer lengths which is economical and creates less waste. NR Spray Hose is a premium-quality, all-purpose hose for handling a variety of applications such as paint spray or agricultural spray. 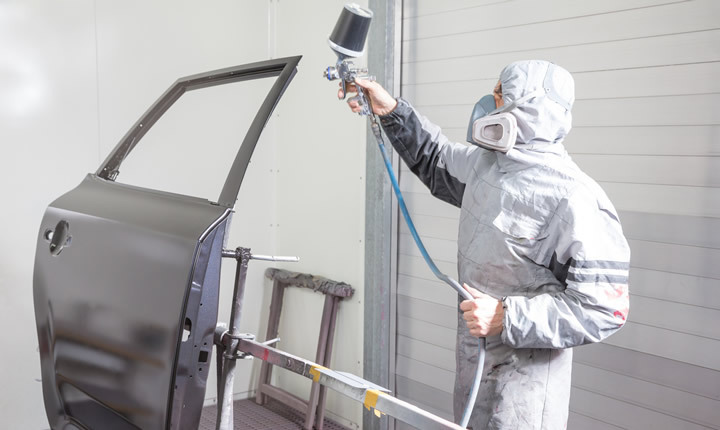 Will handle spraying paints, automotive finish paints, lacquers, thinners, turpentine, air, oil and a large variety of solvents and chemicals. Is a high working pressure multipurpose hose with a wide variety of applications. Nylon tube which is compatible with many fluids, has an excellent flow rate, does not swell, and is easy to clean. High working pressure multipurpose hose with a wide variety of applications.